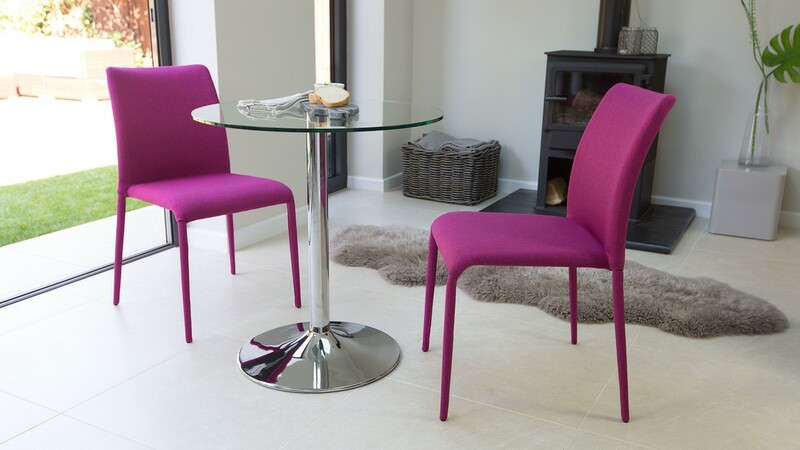 Are you looking to add a splash of colour to your dining space in sleek and stylish way? perhaps you are a little pushed for space and want to really make the most of the room you have available? 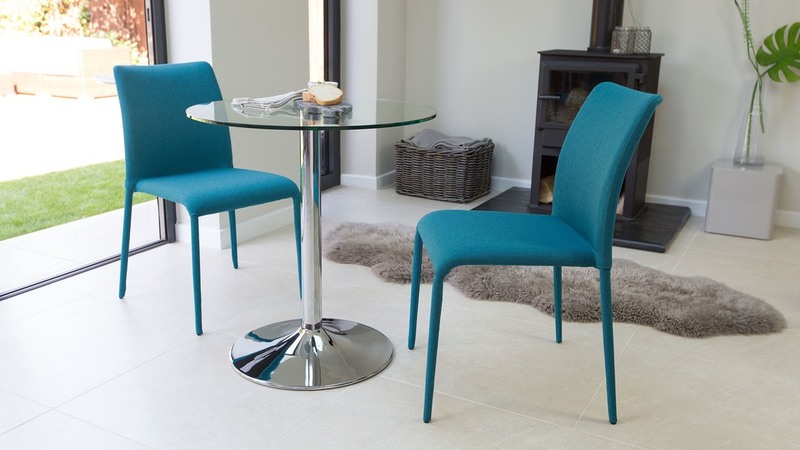 if this is the case, the Naro Glass and Riva Stackable 2 Seater Dining Set might just be the answer! This glass two seater dining set incorporates a range of contemporary finishes, resulting in a set that will add a fresh, open and modern feel to your room. 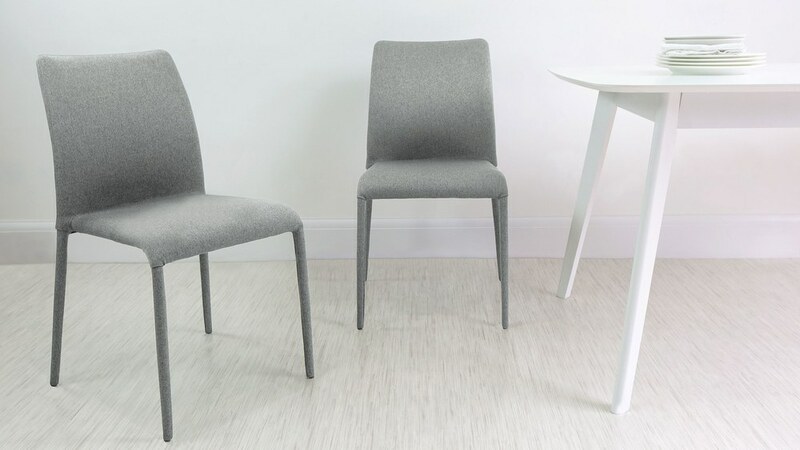 Its sizing means it's ideal for smaller spaces too, so you can really play with placement when it comes to finding a spot for this dining set in your home. 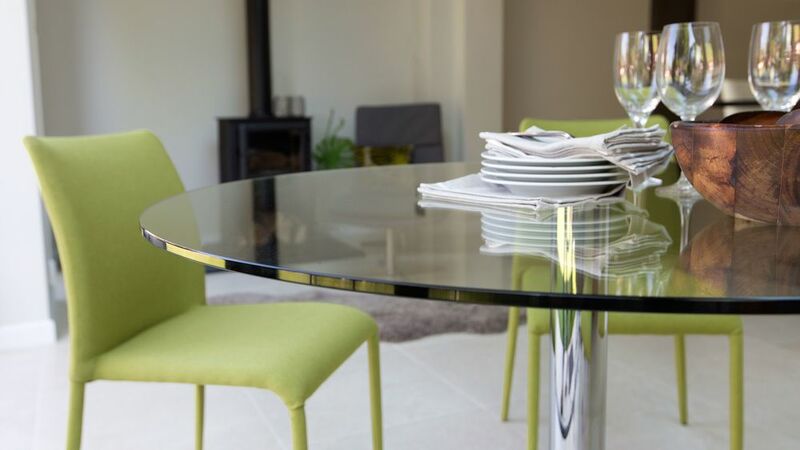 A glass finish can have less of a visual impact in a room due to its transparency. 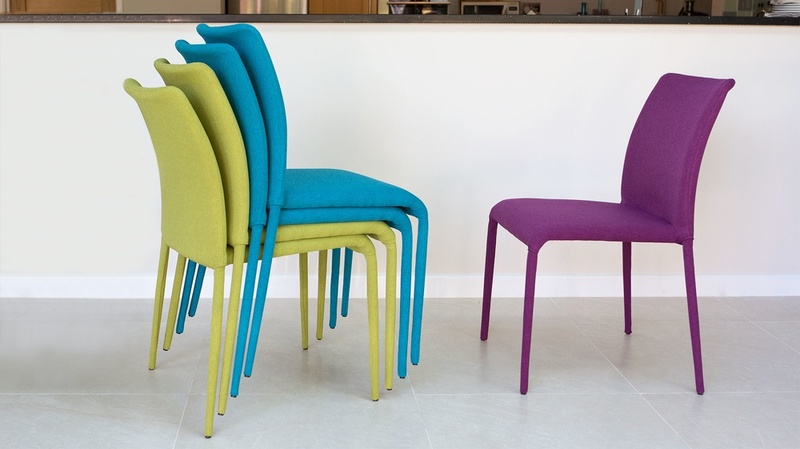 This makes the Naro a great pairing with the colourful Riva chairs as they really stand out, making a colourful and bold statement look in your dining space. 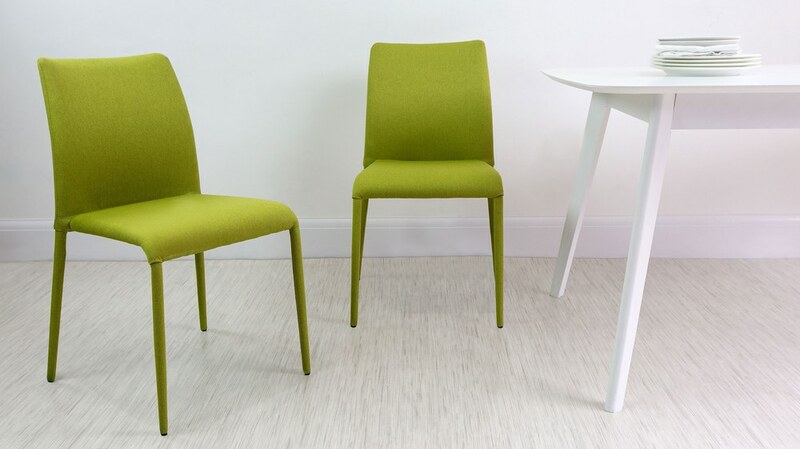 The table top of the Naro is is 70cm in diameter, meaning it can comfortably seat 2 people. 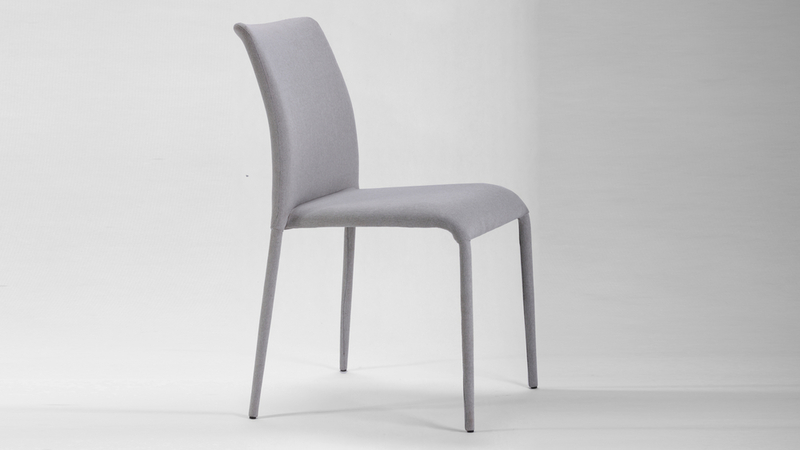 This sizing is perfect if you are a little pushed for space, or if you don't want or need a dining table that occupies more room. 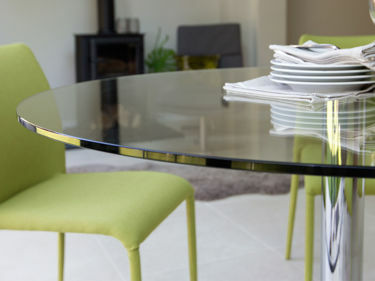 The circular clear table top of the Naro is made from 1cm thick tempered glass. 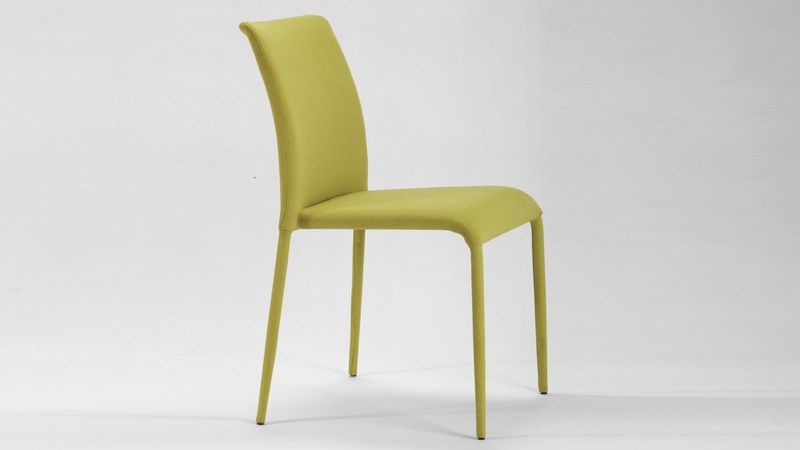 This means the glass is extremely strong, sturdy and very durable, therefore very practical for everyday use. 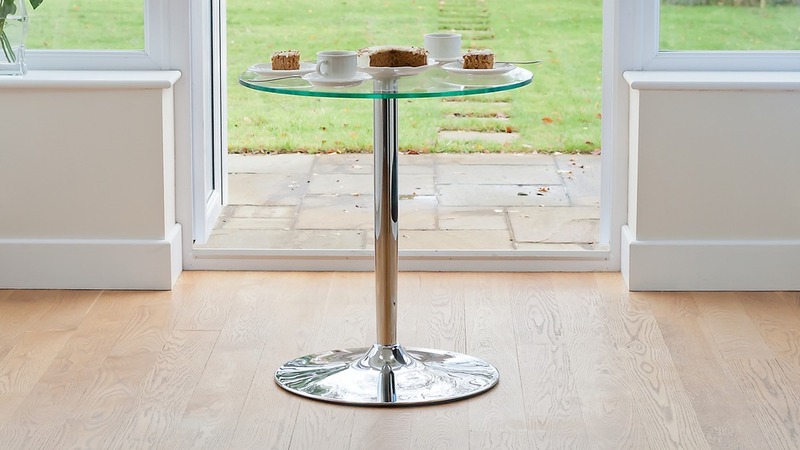 The chrome pedestal base is a clever feature on a table of this size as it really opens up the area in which you place it. 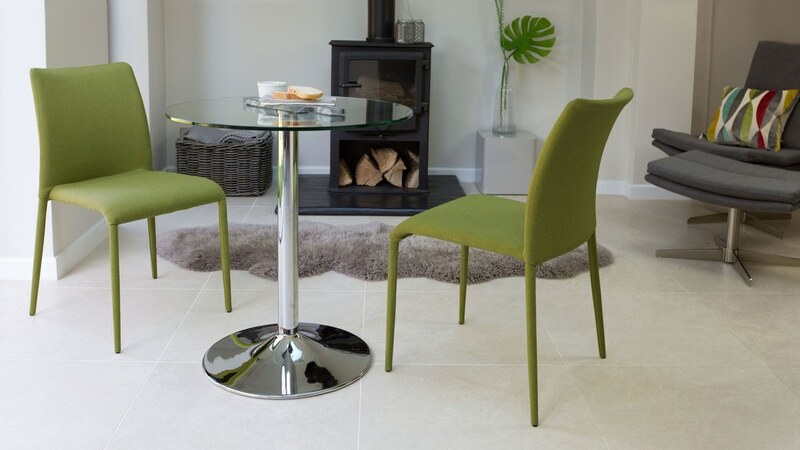 There are no table legs in the way and the shiny chrome gently reflect the light throughout your room, adding the look and feel of more space. 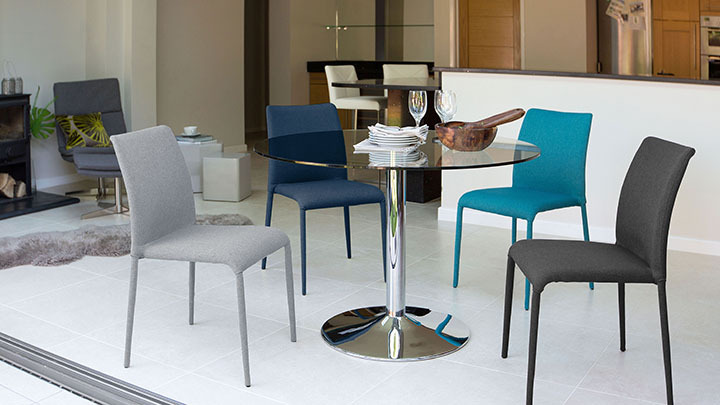 The Riva chairs have the ability to be stacked, meaning you could always have a few extra seats stored away, ready for when you have more people round for dinner. 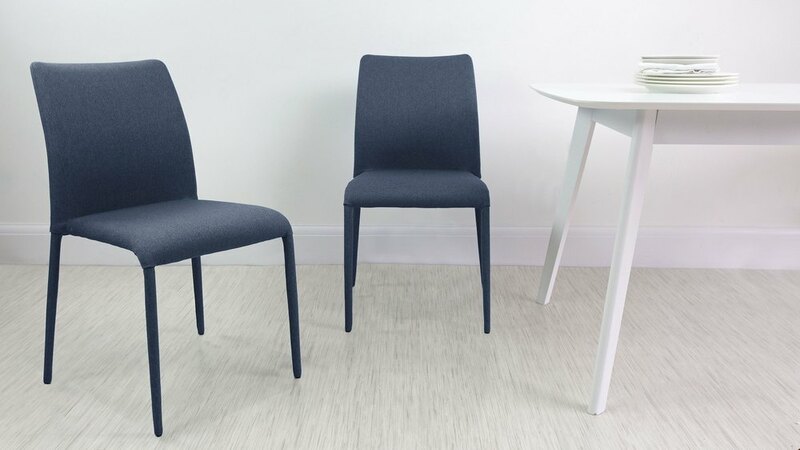 This makes the seats very practical and great space savers. 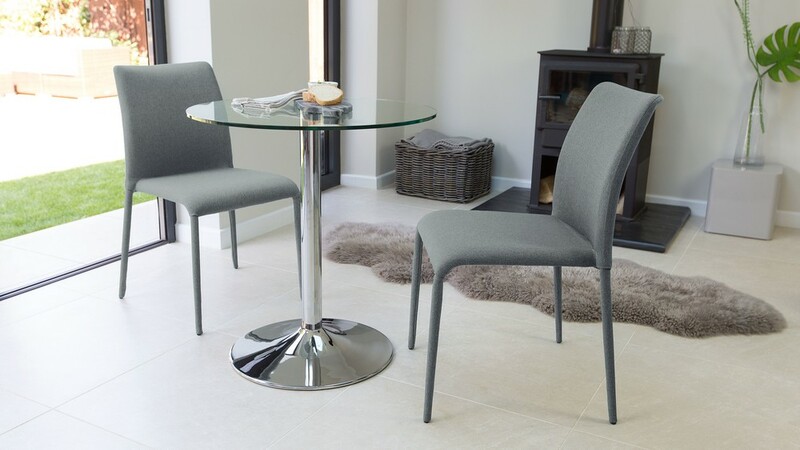 If you like the look of the Naro Glass and Riva Stackable 2 Seater Dining Set but would like to seat a few more, this set is also available in a four seater option. 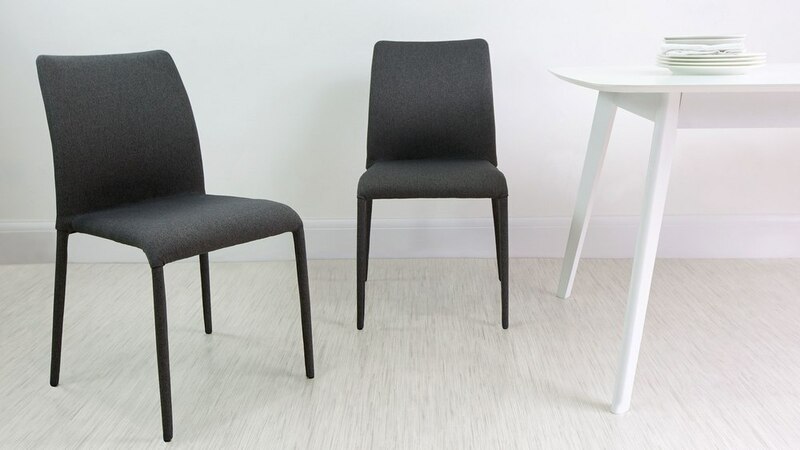 We have a whole variety of Naro sets including different sizes, finishes and chair designs, so be sure to browse the range to see all we have to offer. 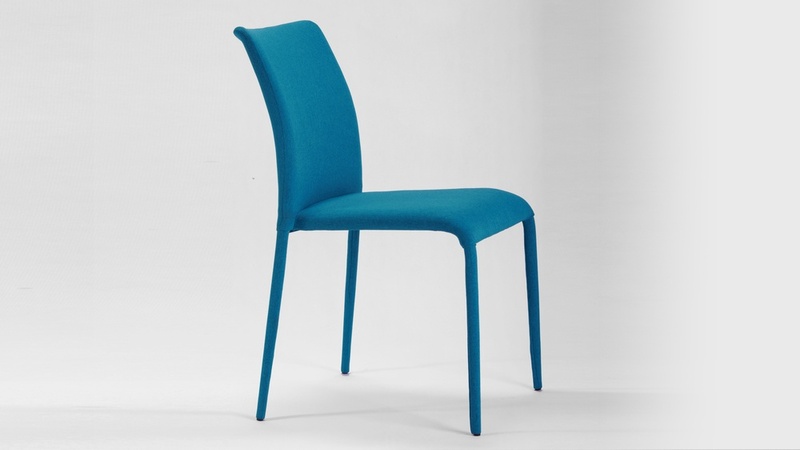 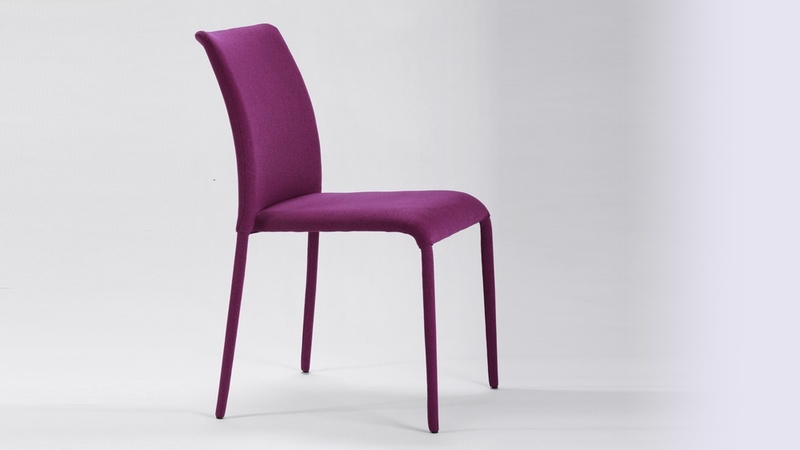 The Riva chair really does stand out for its clean lines and simplicity. 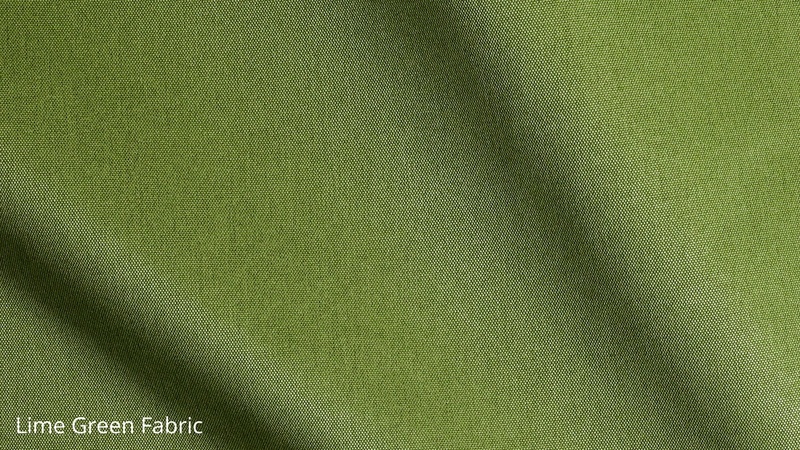 It is fully upholstered in a multi tonal melange plain hopsack fabric, which is done by hand to increase its durability and ensure a technical neatness. 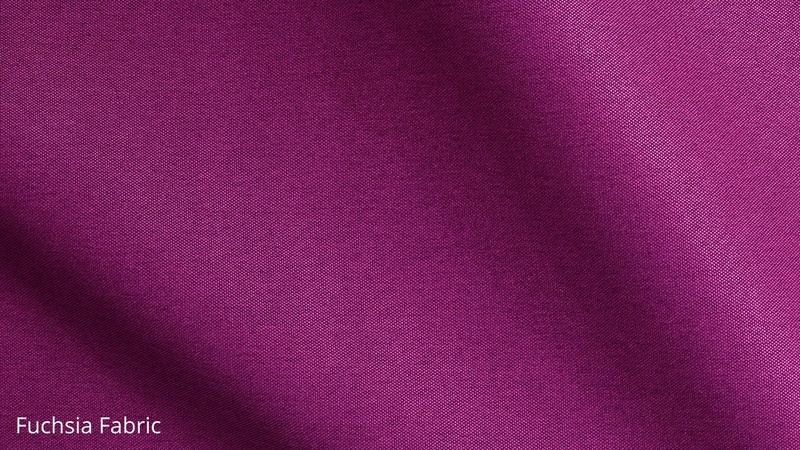 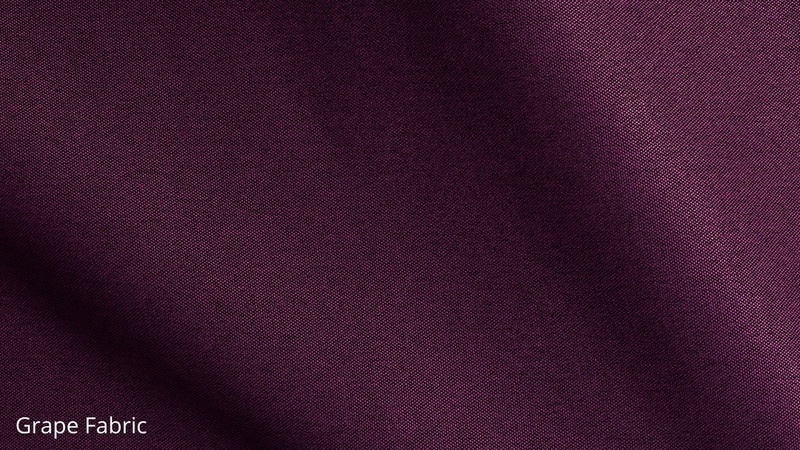 It also means they won’t show signs of wear and tear as much as they would with a solid plain fabric, so they are very well suited to everyday use. 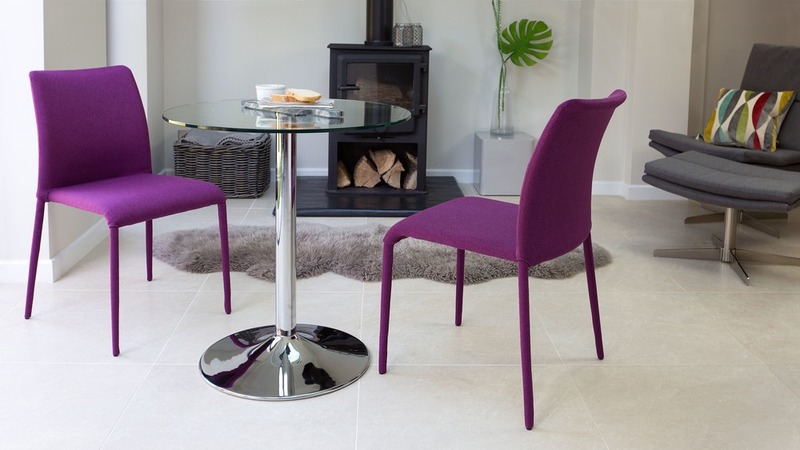 We’ve paired the Riva with the Naro glass table as we saw it as a great styling opportunity. The clear glass means the chairs can be seen from all angles, perfect for showcasing their bright and bold fabric covering. 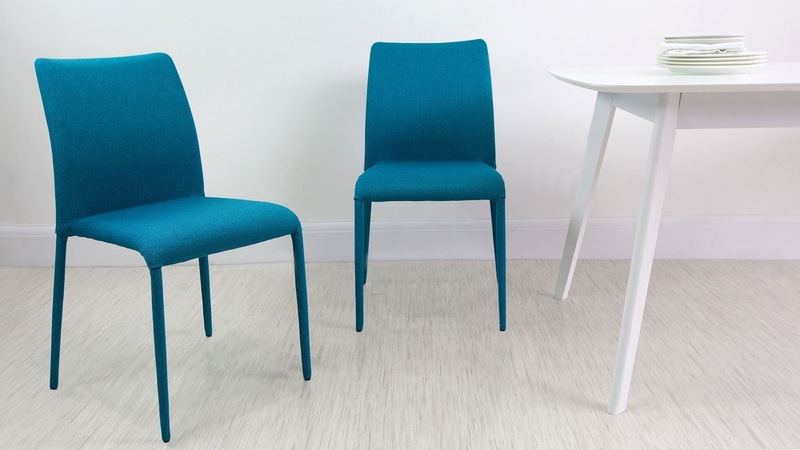 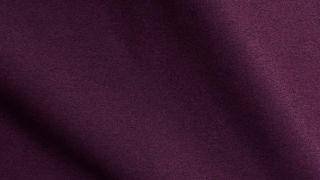 It also gives this set a really tactile quality, with its mix of fabric chrome and glass finishes.